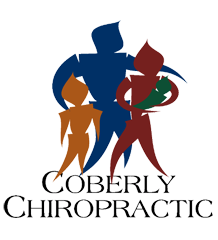 Four Ways to Incorporate Movement Into Your Workplace – Coberly Chiropractic, Inc. If you sit behind a desk all day with little or no activity, you could be compromising your physical health, mental health, and brain health which could impact your productivity at work. From a physical standpoint, it isn’t healthy to remain in one position for too long. It can lead to various health conditions including diabetes, heart disease, and even cancer. Experts advise getting up and walking around every hour or so or do exercises at your desk. Healthy brain function can also be impacted by inactivity. If you sit at work without moving for long periods of time your brain could suffer. The lack of activity could cause it to enter into a state of slumber which can lead to a decrease in brain processing speed and short term memory loss. It can also impact a person’s ability to learn or retain new information. This is why it is so important to create an organizational culture that encourages movement as part of their workday. There are four areas where you can incorporate movement into your own workplace: policies, places, people, and permission. Create written policies that encourage and advocate movement during work hours. Incorporate moving workstations, moving meetings, flexible scheduling, more breaks when meetings run long, and a movement friendly dress code. Provide information and training to all employees and leadership underlining the importance of the policies and explaining the importance of movement as well as what they can do to support the initiative. Create workspaces that are conducive to movement, adjusting workstations so that they encourage active movement and incorporating active movement into current processes and workflows while minimizing the time employees spend sitting. Seek out software and applications that encourage users to stretch or get up and move while they are working. Make stairwells more accessible and appealing, improve common areas, and encourage collaboration that requires moving to various workstations or common areas. Identify employees who are good role models for movement and train them for leadership roles so that they can encourage other employees to make movement a part of their work day. Train them in the policies regarding movement and task them with helping to create a culture of health and movement within the organization. Organize groups to walk during breaks or meet in common areas for light stretching and other types of movement. Sponsor contests and competitions with prizes for employees who achieve set goals. Educate all employees and all levels or management or leadership on the benefits of movement and how it can positively impact personal production and performance as well as organizational outcomes. Stress that moving during the work day should become a normal activity and must be welcomed and allowed. Emphasize that it is the task of all employees to make a culture of movement the norm as opposed to the exception. The benefits of bringing movement into the workplace extends far beyond healthier employees and increased production. Employees perceive themselves as valuable to the organization and morale is increased. This improves employee engagement on the job and they invest more into their work as opposed to just doing a job. They are happier, empowered, and more productive at work and take more of an active role in business outcomes as well as their own health. Of course, employees will also enjoy individual benefits such as increased blood flow, as well as improved problem solving, better alertness, and enhanced creativity. A workplace that incorporates movement into its culture is a healthier, happier place to work with healthier, happier employees. You can’t afford to not implement this simple, effective strategy into your own organizational culture.